Sunday Supplement: Forget? I couldn’t even remember! You might have thought that waking up with the on-the-window thermometer showing 25 degrees Celsius and the road outside closed because of the imminent start of the Run Hackney Half Marathon – no I’m not one of the 12,000 participants – would be pleasurable. Sadly, no. The end of five wonderful days at Royal Ascot coincided with the summer’s longest day. Five unbroken dry afternoons were therefore the precursor of ever-shorter days, 182 of them to be precise. No wonder I hate August, despite the prospect of York. Saturday’s highlight was Telescope’s final emergence into the spotlight and a run in the Hardwicke which will be his prep for the King George in four weeks’ time. It was disappointing that the Nagles, David and Diane, who bred him at Barronstown, joined in the post-race rush for the airport, so my congratulating will – until Saturday – have to be confined to this medium. I say until Saturday. I’m planning to travel over for the Irish Derby with my mate Harry to see the next instalment of the Australia phenomenon. Not all the Aidan O’Brien horses managed to run up to expectations, but Leading Light’s Gold Cup win over Estimate has to be right up there, not least because of the Queen’s classy decision to hand over the trophy to the boys with genuine smile firmly in place. John Magnier was highly impressed by the promising run shown by the three-year-old US import Due Diligence as he chased home Slade Power right to the line having got adrift in the smaller stand side group in the Golden Jubilee. The Eddie Lynam double of Sure and Slade will look nice on the Power family sideboard, but will it placate young Paddy after a week when the bookies generally will have done their brains? Already struggling by Saturday, then they had to contend with Ryan Moore getting into full flow with a treble on Arab Spring, Telescope and Pique Sous in the closing Queen Alexandra Stakes for Willie Mullins. All week, Ryan’s uncomplicated riding – watch his Arab Spring mount for untroubled calm – had set him apart, and the punters piled in on all three with hurdler Pique Sous showing once again that Martaline, who had a big hurdle winner with a three-year-old filly in Paris on Saturday, is an excellent dual-purpose stallion. His untried lots in the upcoming Arqana sale in Deauville will attract plenty of attention from the top jumping boys over here and in Ireland. Slade Power was the opening half of a big sprint double for Dutch Art. The Cheveley Park Stud stallion’s fee has jumped up over the past few years from £6,000 before his first runners hit the track to the £35,000 of 2014. In addition to the Golden Jubilee, the admirable sire provided impressive Wokingham Stakes winner Baccarat for a joint 400-plus grand payday. His success has been gratifying for me too, as over two seasons, my boss Raymond Tooth had a total of five (two twice) mares visit Dutch Art at the rock-bottom level. He sold one, last year’s juvenile winner Dutch Art Dealer, who made a promising comeback in fifth yesterday at Newmarket, lost one in a paddock accident, and has three in training. 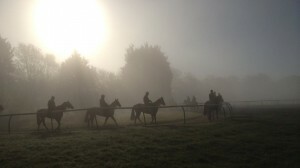 Dealer’s younger brother, with Hughie Morrison, is nearing racecourse action, while two more, a three-year-old and a two-year-old filly, are a little further behind. We just managed to catch Dutch Art halfway to his present figure when Catfish, third with a slipping saddle in the world-record timed Vodafone Dash at Epsom, visited at 18 grand last year. She has produced a beautiful filly foal. With yearling prices so high thanks to the arrival of the free-spending Qataris, we’ve made a conscious decision to try to produce our own in concert with the highly-efficient help of Rachel and Richard Kempster of Kinsale stud in Shropshire. There were a number of highlights for me at Ascot, not least the victory of The Wow Signal, trained by John Quinn, in the Coventry Stakes on the opening day – seems ages ago now. I landed on him, as usual, by virtue of bias rather than industry, although when you looked at the form of his debut win at Ayr, it was hard to dismiss his chance. So to do it that way round, he made a winning debut, by nine lengths and 11 in a five-runner maiden up in Scotland. The second went on to win his next race by six lengths; the third, his by two and he was quite well backed – being trained by Mark Johnston – to turn around that 20 length deficit on Tuesday. In the event, he was third, but I landed on the winner in a very roundabout way which involves a tea stall in Yarmouth market. My mate Roger, you know the fellow who lived near and whose family shared that celebrated party phone line in Nuneaton with Larry Grayson, is now the life and soul of the Norfolk seaside town. His mate, Murphy, a Cockney who upgraded many years ago to Yarmouth and indeed was manager of one of its betting emporia until redundancy took over, is married to the owner of said Julie’s Tea Stall. That worthy lady’s brother owned a couple of two-year-olds and early in the year, the news was quite promising. One day last month, Roger told me that Murphy’s brother-in-law had a fancied runner at Musselburgh. The horse was Pres Rapide. As usual when you have a few quid on, it almost won, finishing runner-up, and he duly scored second time out the week before Ascot at York. But the good part was that before the first race, Roger told me that they had another one at home that was a stone better. Yeah right. Anyway a couple of weeks later, Roger had a right touch. The other one, The Wow Signal, a son of Starspangledbanner, romped home. Sadly, Roger never bumped into Murphy, like yours truly one of those nearly punters, so he never got on. I realised that he was the one, about a furlong into that Ayr race, which I saw on Racing UK. In between there and Ascot, the original owner sold him, but I hope that all around the tea stall in Yarmouth market place, all the lads and lasses were on him. In fact rumour has it that Roger had his topper on when going into the Continental Café – great value! – on Wednesday morning. That win, and also Starspangledbanner’s daughter Anthem Alexander’s for Eddie Lynam in the Queen Mary, were bitter-sweet for Coolmore, as they were two of just 33 foals produced in the first crop of the fertility-challenged sire, a great sprinter on two continents in his day. Apparently, he’s a real hit-or-miss project – having had a 50% fertility in his recent southern hemisphere stint – but if the magicians in Co Tipperary can ever get those figures going in a northerly direction, there may still be a chance that he’ll eventually become an A-lister. Post script. Believe it or not, they’re running right by my window (needs a clean - Note to Mrs – and one guy came past ages ago with at least a minute lead probably two-thirds of the way in. Wonder what price he was on Betfair? Big gaps until the eighth and now they’re streaming through. Fun (sic) runners soon. Just another 11,000 or so to go. In a couple of weeks the Tour de France is going past just a street away. Who says Hackney’s a dump? In the first part, forgot to say another ending last night, the final episode of Swedish drama Wallander on BBC4 – better watching than the World Cup. Apparently the lead actor, who’s 67, is stroppy, as is his character, and he’s had enough. I remember when I was 67. The plot says he’s in the early stages of Alzheimer’s. Funny, forgot all about it until now. See you next week, if I remember. https://www.geegeez.co.uk/wp-content/uploads/2018/09/geegeez_banner_new_300x100.png 0 0 Tony Stafford https://www.geegeez.co.uk/wp-content/uploads/2018/09/geegeez_banner_new_300x100.png Tony Stafford2014-06-22 20:31:522014-06-22 20:50:08Sunday Supplement: Forget? I couldn't even remember!